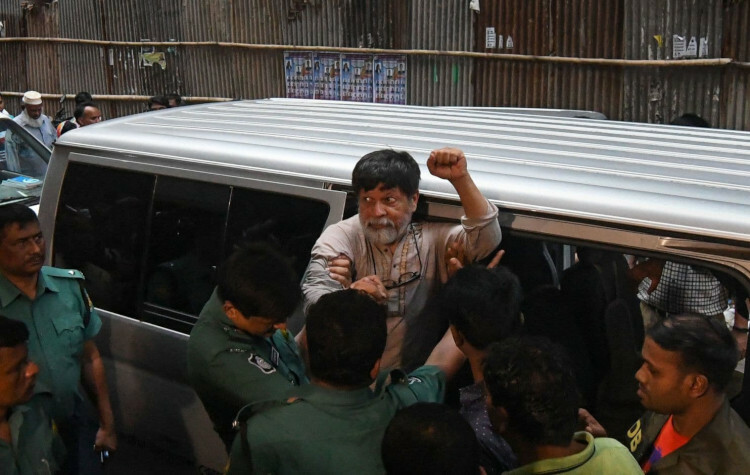 (Bangladesh/Kathmandu, 13 November 2018) – The Asian forum for Human Rights and Development (FORUM-ASIA) strongly denounces the continued detention of Shahidul Alam, a well-known photographer and human rights activist from Bangladesh. Alam, who founded the Drik Photo Gallery, was arrested shortly after he posted on Facebook about the protests for road safety in Dhaka in August 2018. Today marks 100 days since Alam’s arrest under the controversial Section 57 (2) of the Information Communication and Technology (ICT) Act (2013). He is accused of spreading propaganda against the Government. Scores of journalists, human rights defenders, writers and online activists have been charged with ‘unlawful’ online expression, as the ICT Act draconically criminalises online dissent and criticism of public affairs in Bangladesh. The Digital Security Act passed this year by the Parliament of Bangladesh has further strengthened the power of the Government to curb online freedom of expression and has created an atmosphere of fear and self–censorship. Shahidul Alam has been denied bail five times, and in the latest attempt the Bangladesh High Court even refused to hear his bail petition. Alam was reportedly also tortured while in custody. FORUM-ASIA considers the treatment of Alam an egregious violation of human rights, which is setting a threatening precedent on the safety of human rights defenders and activists in Bangladesh. FORUM-ASIA calls on the Government of Bangladesh to immediately release Shahidul Alam, and ensure his safety and wellbeing. The Government should provide an enabling environment to protect dissent by civil society and activists.